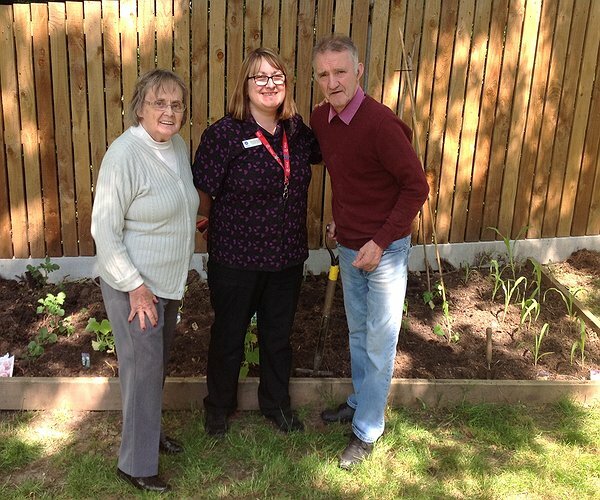 The residents from Berwick household at Chirk Court have created a vegetable section and they are looking forward to harvesting some tasty items to add to meals later in the year. “Paul Bryan, manager of Moreton Park, the local Wyevale Garden Centre kindly has been really brilliant, supporting the residents by generously donating some plants for the initiative,” said Mandi Southern, Activities Coordinator at the home, which is managed by Clwyd Alyn Housing Association. "The lighter side of life at Flint café"